To kill without consequence: If you were given a chance at deadly retribution with a guarantee that the law could not touch you, would you take it? That's the opportunity that Agent Graves provides, in the form of a special briefcase containing an untraceable gun and one hundred rounds of ammunition. 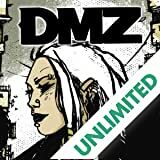 To the damaged and downtrodden living on the fringes of society, the offer is a once-in-a-lifetime chance to even their scores. But beyond the dilemma of whether or not to pull the trigger lies a deeper and even more troubling concern: Just who is making these actions possible-and why? 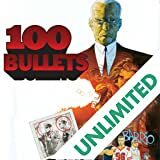 This third of five volumes reprinting all 100 issues of writer Brian Azzarello and artist Eduardo Risso's 100 BULLETS collects issues #37-58 of their acclaimed Vertigo series, and includes never-before-seen character sketches by Risso for an unproduced 100 BULLETS video game. 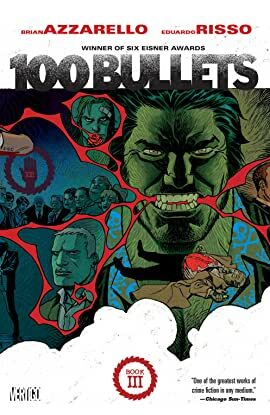 The Eisner Award-winning team behind 100 BULLETS reunites to tell the story of the baddest Minuteman of all. When last we saw Lono, Dizzy Cordova had shot him through the chest...but Lono always was too tough to die. 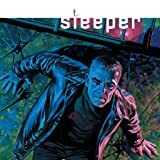 Sleeper is the story of a man doing his job--a man who gets pushed in over his head. 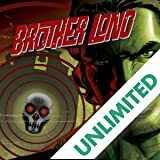 It's the story of deep-cover agent Holden Carver and the secret criminal organization he becomes enmeshed with, and of the deadly game of cat-and-mouse he plays with Tao, the amoral master of manipulation.